We are inviting disabled people in the North-West area to our session on research and action for the adult social care system in Northern Ireland. If you are a disabled person living in the North West Ulster area you are invited to take part in our session in adult social care. The session will start with a focus group on attitudes impacting on independent living choices. You will be part of a focus group with around 15 other disabled people. The focus group will be facilitated by Ivanka who is the lead researcher. This discussion will focus on the attitudes you have experienced in relation to social care and independent living. You don’t need to be an expert to take part – it is just your experience that we want to hear. We will cover all travel expenses for those attending and all the papers are available in a range of formats on the day – just let us know your requirements when you book. The British Deaf Association are facilitating 2 upcoming events in Belfast this October. Please visit links for more details. The Northern Ireland Policing Board and the Police Service of Northern Ireland now need your help in order to plan how they will deliver policing in your community. We are inviting disabled people in the Mid-Ulster area to our session on research and action for the adult social care system in Northern Ireland. If you are a disabled person living in the Mid-Ulster area you are invited to take part in our session in adult social care. The session will a focus group on attitudes impacting on independent living choices. You will be part of a focus group with around 15 other disabled people. The research will be undertaken by Ivanka who is the lead researcher. This discussion will focus on the attitudes you have experienced in relation to social care and independent living. You don’t need to be an expert to take part – it is just your experience that we want to hear. Blog: (ALLFIE) Let’s work together to make secondary schools more inclusive: Could you tell us about your experiences? As a Disabled researcher, my academic research into British schools has shown that most Disabled children feel they are excluded at school and often bullied. I now work with the Alliance for Inclusive Education (ALLFIE). As a Disabled-led organisation, we have been particularly concerned about school budget cuts and the impact that cuts have on children with special educational needs or disabilities. Families believe that thousands of children across the UK with special educational needs are currently unable to receive the support that they need. Our recent campaigns around this issue won support from the Local Government Association. 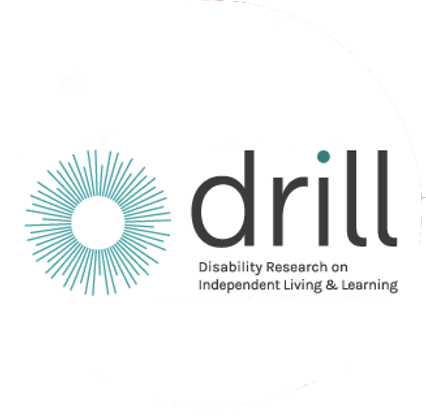 We have recently been funded by Disability Research on Independent Living & Learning (DRILL) to conduct a research project about Accessibility Plans. We are exploring the experiences of Disabled pupils, their parents and educators in schools. We hope this project will support work to enable Disabled children and young people to feel more included and part of their school communities in every way. The project will explore the stories and opinions that people share in focus group discussions to understand any gaps between the aims of the law, and the real-life experience of people in schools. The project advisory group includes a Disabled academic and a parent of a Disabled child to make sure these perspectives are considered in how the research is done. Increasing access for Disabled pupils to the school curriculum. This covers teaching, learning and the wider curriculum of the school, such as participation in after-school clubs, leisure and cultural activities or school visits. Improving access to the physical environment of schools. This covers improvements to the school buildings and outdoor areas, as well as physical aids to access education. Improving the delivery of written information to Disabled students. This includes making things like handouts and timetables available to Disabled pupils. The information should take account of students’ impairments and learners and parents’ preferred formats and should be made available within a reasonable time frame. In principle, Disabled children should feel more included in their school community and have a more equal educational experience as a result of the improvements made through schools’ Accessibility Plans. Schools must, and academies should, publish their Accessibility Plans on their websites – but there is no requirement for schools or academies to share this information with OFSTED. Inspectors may consider Accessibility Plans as part of their pre-inspection analysis, but the information is not routinely recorded or collated centrally. In my initial research for this project, I also learned from Freedom of Information requests that not all local councils in England have an accessibility strategy in place for the schools they are responsible for. Even if they do, many of these are either insufficiently detailed or out of date. Most local councils in England do not monitor how many schools have Accessibility Plans, as this is not a legal requirement, and neither does OFSTED – so there is no evidence to demonstrate how effective the plans are for Disabled children and young people. It is also unclear how well-informed parents are about the Accessibility Plans of their children’s schools, or how much they have a say in creating them. The impact of this oversight can be felt by Disabled pupils and their families. As they begin to think about the transition to secondary school, Disabled young people and their families may struggle, fight and compromise in order to achieve a reasonable outcome for their children. In most cases Disabled students are not only required, but also expected, to leave behind their friends and attend a school deemed accessible by their local education authority, only to find upon arrival that the school may not be as accessible as they had initially been led to believe. If nothing changes for the pupil, it is almost irrelevant that there is even a plan in place. An Accessibility Plan must be effectively implemented if it is going to make a difference to students’ lives and improve their ability to access education alongside their siblings, friends and classmates. We will hold focus groups for the project in four regions in England – concentrating on Leeds, London, Bristol and Manchester. In each location, there will be three focus groups: one for Disabled young people and children, one for parents of Disabled learners, and one for educators and professionals. The focus groups will be held in October and November 2018, starting in Leeds. Further groups will be held in other regions throughout England in autumn. Even if you don’t feel well-informed about Accessibility Plans, why not get involved and share your own experiences with us? Even in schools where Accessibility Plans are in place, participants may feel they are not generally implemented or have not been regularly reviewed. Better understanding of this area should help Disabled learners and their families challenge inadequate Accessibility Plans. The findings will inform policy and debate on this subject at a national level. The project will help ALLFIE in pressing for change and may assist education providers producing the plans, as well as local authorities guiding Disabled learners. Learning about a diverse range of people’s first-hand experience will help us work toward empowering future generations of Disabled people by increasing their education opportunities and removing barriers. Help us help you to get Accessibility Plans which really work. If you are interested in getting involved in the focus groups, or would like more information about the project, please contact me at [email protected]. Please feel free to share this blog with anyone you feel may be interested in our project. Reasonable adjustments in the education sector – are they happening?